Katie and I are happy to announce the (very early) arrival of our twins yesterday. We haven’t decided on names yet, so they are currently referred to by their bump nicknames – Smidge and Smudge. The twins weren’t due until March 5th, meaning they’ve arrived at 26 weeks and 2 days, and are currently in Neonatal Intensive Care Unit. Katie woke up at five past midnight on the morning of Wednesday 30th November 2011 with an issue. Having played badminton that evening, I’d avoided going to the pub, and come home to do some late night work instead – I hadn’t gone to bed yet. Concerned, we rang NHS Direct, and they said to ring the Delivery Suite of our hospital. We did so, and they said to come on in, and bring a bag of essentials for an overnight stay or two. We went to the hospital, and having checked her over, they confirmed that one of the waters had broken. At this point, there were no contractions or any pain, only a minor cramp, so they were hopeful that it would settle down over the next few days, and that the babies wouldn’t be born – with antibiotics to stave off any infection (greatly increased now the protective amniotic waters had gone), it’s possible to continue carrying for another 2-10 weeks. As a precaution though, since we were at 26 weeks, and the lowest age that Basingstoke hospital can support is 28 weeks, they rang around and said Katie would be transferred by ambulance to another hospital, potentially anywhere in the country. As it turned out, Southampton could take us, which is only 30 minutes away. I went back home five minutes away and picked up a few more supplies that we hadn’t got when we’d rushed out three hours earlier – we’d not accounted for the possibility of us being transferred away. First though, I had to get out of the hospital car park, and since the solitary ticket machine was out of order, and it had just gone 3am in the morning, I wasn’t in the mood to be running around the hospital grounds in the dark to go and retrieve a ticket from a man in another part of the hospital. Needs must, and I got home, grabbed the bits, nearly choked on a rich tea biscuit or three and headed back to the hospital. Just after 03:40am, Katie was taken in the back of an ambulance which then turned on it’s blue lights and headed for Southampton, driving at 100mph on a deserted M3 motorway, and jumping several sets of red lights when it got close to the hospital. Any onlookers would likely report that they may have seen a silver Mondeo with a lone male driver doing exactly the same, just behind the aforementioned ambulance, and they’d be right. (Come on, if there’s ever a chance to have the excuse ready for any police who stop you to say that “I’m following that ambulance, in which my wife is about to give birth”, it’s was then). At 04:10, Southampton hospital took Katie in, checked her over, and re-confirmed that her waters had broken. The cramps had got uncomfortably worse on the journey, but they weren’t appearing like normal contractions. Several injections (steriods to strengthen the babies’ lungs), tablets (antibiotics), cannulas (for later drips), and examinations later, they said Katie was starting to dilate, this was indeed labour, and the babies were on their way. The next bit was the worse for me – over the next 1.5 hours, Katie went from 1cm dilated to fully (10cm) dilated, which is really quickly – it meant that the pain level during the contractions was increasing rapidly, and there was little that I could do other than hold her hand and encourage her. She had some gas and air (pain relief), although this just made her sick. Twice. Clearly the cramps were her form of contractions. Around 7am and still dark outside, she was taken into theatre, where she was to be given a spinal (injection in the back, like an epidural, but different in some way that I’ve not determined yet) before proceeding the with a natural birth. As the onset of everything was so quick, there was no time for a spinal, so Katie proceeded to give birth, twice, with one of them breech (bottom down, instead of the more usual and preferred head-down) without any pain relief at all. I expected her to be screaming the room down, as she’s a wimp when it comes to pain, but she was a superstar, surpassing all expectations I’d honestly formed about her for this moment over the last 14 years, and she focussed all of her energy into pushing (as we’d seen on a TV documentary program called One Born Every Minute, about a labour ward in a hospital – having later seen one of the clearly recognisable Sister’s from the program, we later found out that OBEM was filmed at Southampton!). The location of a theatre was just a precaution in case anything more drastic needed to be done, but it was still filled with 15+ people – there were two paediatric teams ready to look after the twins away as soon as their cords were cut, and several midwives, nurses, doctors, anaesthetists and likely other people looking after Katie. We had timed it to fall on the handover time too, so both night and day staff were there. After much support, and lots of pushing from Katie (really, she was a star), the first baby arrived; Smidge, the boy, arrived at 07:22, and weighed just 1lb 10oz. At 08:10, Smudge, the girl, arrived, weighing 1lb 13oz. Her waters were still intact, so once she got down far enough, the membrane was popped (covering most of the staff standing at that end of the table, and several who weren’t) and used the force of it to send her the rest of the way – as she was breech though, Katie still had the head part to handle, but she did and I have the bruises on my hand that she was holding to prove it. It then took another 1.5 hours to sort Katie out – there was some blood loss, not life threatening, but more than the medical staff would have liked. Fast forward to later in the afternoon, and we were able to go (with Katie wheeled around in her bed) to see the twins in the Neonatal unit – both in different rooms within the intensive care section. 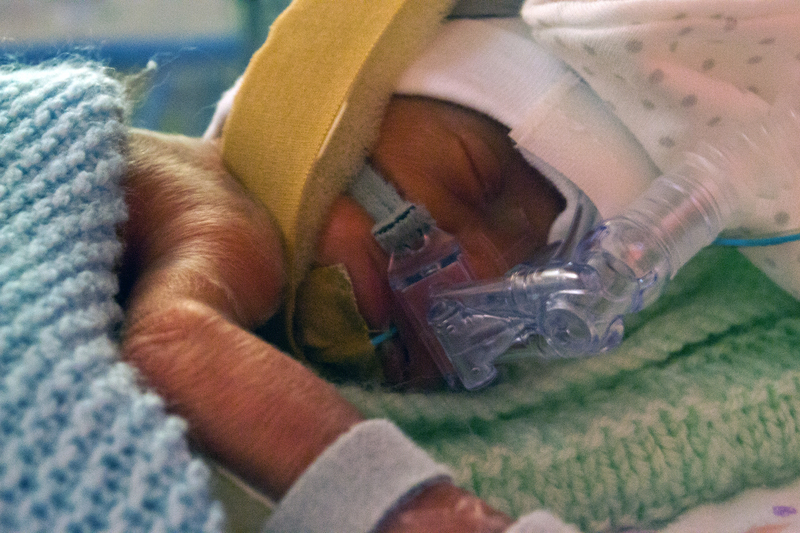 Both had survived the ordeal, and both were fighting strongly – over the next 39 hours (which is when this post was written), they had both come off their ventilator (which is an impressive achievement on its own to do it, considering their prematurity) and are hooked up to a CPAP machine which helps them to breathe themselves (rather than breathing for them, which is what the ventilator was doing). They are hooked up with various wires and lines, which is providing them nutrition and liquids, monitoring stats, and allow them to easily take more blood for tests. They are in incubators which is keeping them warm and toasty, which is also set to a humidity of ~70%, which keeps their underdeveloped skin from drying out. One has (and the other has just about) reached the limit for needing action against a chemical linked to jaundice, but this is something that happens with term babies too, so it’s nothing to be overly worried about. Although they are small (head to bottom is about the length of my hand, and their foot is the length of the the last two knuckles of my little finger), they appear to all be developed in features and functionality (enough fingers, toes, ears and noses each, albeit at a tiny size), though of course it’s early days to be testing the sensory functions. We have been allowed to touch them in their incubators, and Katie seems to be having a calming effect on them already, which is a lovely feeling. All of the medical staff at the Princess Anne Hospital in Southampton (and the few we met at Basingstoke for the brief time we were there) have been absolutely fantastic – it’s clear that they care for the mothers and babies in their charge, and I can’t rate them highly enough. The neonatal nurses are lovely, friendly, do an intense job and support the concerned parents as much as they do the welfare of the premature babies. I have complete confidence in what they are doing, and my emotional stand-off-ish during the pregnancy (expecting the worst) has now completely been turned around to not even contemplating the notion of major setbacks, and that’s all down to the staff. Since the twins are so early, weigh so little (735g and 825g) and were ventilated, they met the criteria for a research study being done concerned with surfactant (the coating of the lungs that stops them collapsing – missing from premature babies so given to them as a treatment), and we’ve said we’re happy for the study to include the twins. There’s little impact on them physically (keep and analysing waste products that would normally have been discarded, taking one extra spot of blood when some is already being taken for clinical tests, etc. ), and I believe we owe it to the people who allowed their babies to be studied 10-20 years ago, that now provides the basis of the treatment that our babies are now receiving, and pass it forwards to parents in another 5 years who could benefit from it. I was able to stay the first night in hospital with Katie, but I’ve had to come home for tonight. We’re hoping that Katie will be released tomorrow as her blood pressure is back-up to normal, and her heart rate is back down where it should be. The twins however will almost certainly be in the neonatal unit (Southampton, or back in Basingstoke if they are strong enough to travel) until their expected term date – over 3 months away. 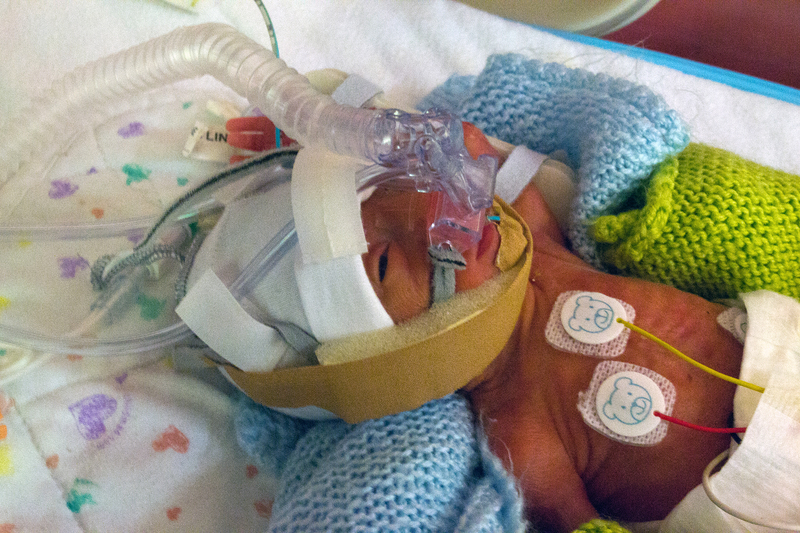 Photos of Smidge and Smudge while still in the neonatal unit. All of our kids were preemies, The oldest was just under 37 weeks but never got sent to NICU, she was in great shape. The next one was 30 weeks, I remember being very confused when my wife tried getting me up in the middle of the night for the emergency 2am rush to the hospital. Then very scared when I saw how small he was. I learned that the best people in the world are the nurses in NICU. We were there 6 weeks with him, then a couple years later our 3rd was in NICU for 3 weeks. The last one was in NICU for 4 weeks, different one, but still the nurses kept us sane and took great care of the kids. Don’t forget to take lots of pictures, by the time they are two and tearing your house apart you will never be able to believe they were once so small and helpless. FYI, if Children’s Miracle Network exists in the UK, and has someone in your hospital, look them up. Thanks for sharing Nick. We’re expecting them ours to be in NICU for 14 weeks, but I’d be delighted if they could make it home for Valentine’s Day (~11 weeks) – obviously very early days yet, but the indications are that they are going to be fighters. They did arrive without much warning though, so everything could change dramatically in a matter of a few hours. I wasn’t scared when I saw how small they were – I think I’ll be far more scared when we take them home. Hopefully by then, we’ll have had even more chance to bond with them and it won’t be so daunting. Gary, this is one emotionally gripping account, thanks for sharing. Please hang in there. We’re thinking of you and your family and wishing you all the best. Thanks Josh. I didn’t aim for being an emotional piece, so much as being a record of what we went through. Memories fade, and stories change very slightly each time they are told, so as much for consistency as anything else, I wrote it as a way for all our friends to hear the news, and as something for us to look back on in the future. A great idea Gary. Although I’ve kept a diary for years I did not write in for several weeks after Beth’s arrival. Three years later I really wish I’d recorded the event, and following weeks for my memory but it would also be useful comparison now with Matthew. Thanks for taking the time to share your intoxicating story and rest assured your whole family will remain in my prayers. Long Live Smidge & Smudge! Keep a stiff upper lip Gary and Kudos to you and the Missus on the multitude of lovely feelings to come. Stiff upper lip is what the British are famous for, so it shouldn’t be too difficult! The comments people have left here and on Facebook and Twitter, is helping to make everything a little more real for me, and that can only be a good thing. Thanks Nim – I’d like to get through the next 20 weeks intact, and then we’ll worry about the next 20 years after that! It wasn’t news that we’d shared with everyone, especially those we hadn’t met in person recently – I was quite proud of having kept the secret for a change! I didn’t find the experience scary – maybe the lack of a complete emotional bond with the twins yet is part of that, with the other part being that, once we knew we were having twins, we knew that something like this might happen. We said we’d just go with the flow of whatever happens and cross each bridge as we come to it. Katie was understandably more emotional the day after the physical day. Thanks Sandy. Only family are visiting at the moment, and we’d like to wait a few weeks for the twins to get settled – if anyone really does want to come down and see them, then we’ll see what we can do. Otherwise it will be at least a few months before we’re accepting visitors at home, or taking them up to BC meets! Hope Smidge and Smudge continue to thrive and Katie recovers her strength quickly. George and I will be thinking of you all and checking into your blog for updates!! Thanks Heather. I’ll be getting Katie to try and write something on the blog as well, to help keep it updated with the progress of the twins. by the time I got to the end of this piece i was in floods of tears. I am amazed at your calmness and ability to put down in words the events of the last few days. Remarkable. If I can offer anything it is to say that your experience is stunningly similar to my own (replace Southampton with Winchester in our case). We now have 2 beautiful healthy fun loving kids that will always brighten my life. your strength for them will help them through these early days. Sorry Anu – I didn’t mean for people to be crying at what I wrote, but I can understand why you might be – in fact, meeting your two beautiful kids increased my confidence in the whole situation about having twins, and the fact that they we also premature also helps me in our current experiences. Thank you. Congratulations on joining the club – sincerely hope all is well for all four of you. Its going to be a tough few months but I’m sure you can get through it OK.
Congratulations on your new arrivals Gary and Katie. It sounds like their arrival was the almost exact opposite to my own November arrival, for instance I had one midwife present while you had a whole audience! However, it is their health that is important and not their entrance, so I’m delighted to hear they are both doing well, as well as Katie. Gary, don’t worry about not feeling an emotional bond to them, it will gradually develop. I think it took a few weeks before I felt one with Beth. I’ve been surprised how quickly I’ve felt attached to Matthew, possibly because I’m more relaxed about looking after a baby. Congratulations Gary and Katie! What a way to start your life as parents, eh? My husband had a brief career as a paramedic, and a few years ago (years after he no longer worked as one) a stranger’s vehicle stopped in our driveway. 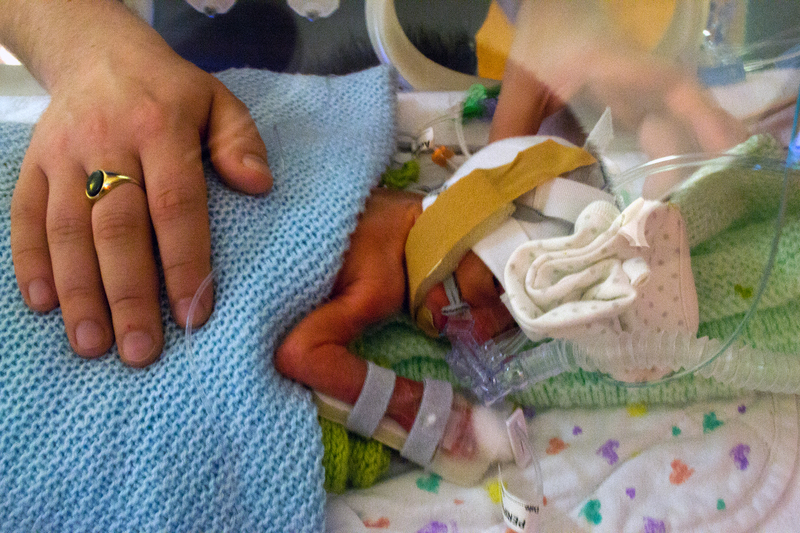 She was a micro-preemie that he had transported…born hours away from a NICU. She’s healthy and thriving now. Your blog was a really good description which I am sure you will look back on in amazement at your calmness. It captures everything so well, and yet has a real emotional impact. Hope Katie is recovering well – looking forward to the photo’s, and hope you get your bond soon. It will be a long few weeks, especially over christmas – we will all be thinking about you. That’s such an amazing story Gary! Congratulations on the birth of Smidge and Smudge. I’ll be thinking of you both over the next few months as you go to and from the hospital, gradually bonding with your babies. Congratulations to you and your wife, Gary, and welcome to Smidge and Smudge! Those have to be the cutest baby nicknames of all time. We are 3 for 3 with our kids being in the NICU and consider it like Customs for babies. 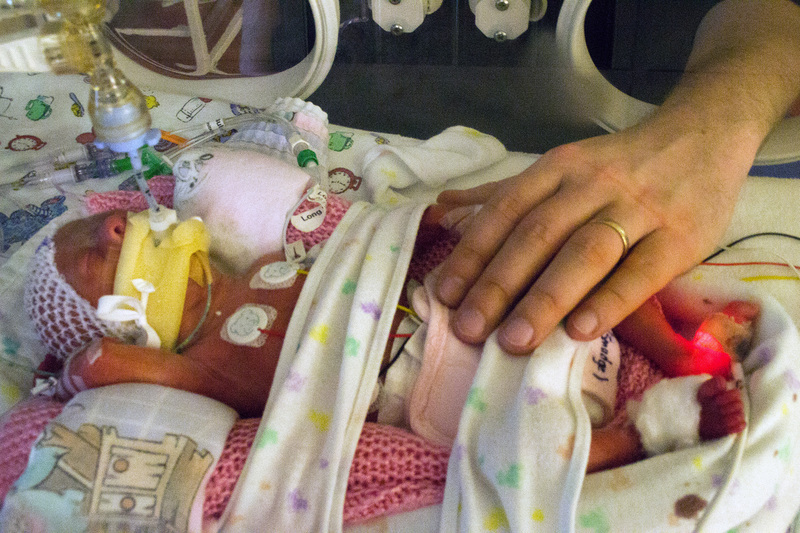 NICU nurses and staff are truly incredible people. I know it will be a long wait until the babies come home . Best of luck to you all! What can I say mate… Firstly, congratulations to you both and Im so so please mother and babies are ok. Secondly as you know Laura and I are due in 5 weeks time and I dont think I would be anywhere near as calm and collected as you seem. Thank you so much for the blog. It just goes to show what a great job ALL the NHS staff do. It is really quiet emotional reading it. Take care of your new family mate and dont forget to look after YOU as well. Congratulations on the arrival of the babies! I’ll shoot you two an email here shortly. I have a similar experience and I’d be happy to chat with Katie or you, Gary, if you’d like to hear about our journey. Congratulation Gary. Very glad everyone is well. I just read the wonderful news! Congratulations to Katie and to you too! A little prayer for the twins for the next weeks to be smooth and calm! Congtatulations Katie and Gary, and welcome to your two early Christmas presents!! Good to hear the twins are doing well, and look forward to meeting them some time in the future. Congratulations Gary and Katie. I have to agree with Josh on your story, to me, reading like an emotional gripping account. I’m also going to repeat some other advice given here and there: enjoy every minute of sleep you can get now. You’re going to need it for later ;). Thank you for sharing. I am among a few thousand “virtual aunties” who adore Katie, and I am delighted to hear about the twins. I will keep praying for their continued progress, and for good health and happiness for the whole (newly enlarged) Jones family!. Just popped on here and the first thing I saw were the pictures of Smidge and Smudge. Congratulations to you and Katie on your new family. I found your blog rather touching and I hope that both children gain in strength and health and size quickly so that you can all be at home together as soon as possible. Hello Gary best of luck with the new twins god bless them and the new beginning. Having read this again, I just realised that your babies were also born 48 minutes apart (as were mine).